Thank you for the opportunity to address you today. My name is Scott Drenkard, and I’m an economist and the director of state projects at the Tax Foundation. For those unfamiliar with the Tax Foundation, we are a non-partisan, non-profit organization that has monitored fiscal policy at all levels of government since 1937. We have produced the Facts & Figures handbook since 1941, we calculate Tax Freedom Day each year, and have a wealth of data, rankings, and other information at our website, www.TaxFoundation.org. In November of 2015, my colleagues and I released a book in partnership with the Committee of 100 titled Louisiana Fiscal Reform: A Framework for the Future. Each of you should have been delivered a copy recently. In this book, we detail reform recommendations designed to help Louisiana overcome the problems of short term fixes and build a tax system that is simpler, more neutral, and provides stable revenues for government operation. As a component of writing this book, my colleagues and I met with over 250 Louisianans from all walks of life, including small business owners, local government officials, trade associations, industry representatives, state officials across the political spectrum, and ordinary taxpayers. While we take no position on specific legislation, we offer our recommendations with hopes of providing insight into the successes and troubles of other state’s tax systems so that Louisiana can make educated decisions. The proposals facing the House and Senate this special session address two main goals: 1) shore up revenue to address the state’s structural deficit, and 2) address perceived inequities in the application of certain taxes. 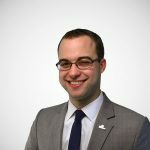 I think everyone here agrees these two goals are attainable, but I think more importantly, that this body has an opportunity in the process to attain a third, very important goal: make the state’s tax system or simple, sensible, straightforward, and competitive for businesses and individuals. In other words, state tax reform is possible this special session, more so than at any time in the last decade. With this theme in mind, my testimony briefly breaks down the main proposals being considered this session, which provide a good start to improving the budget issues the state is having, and makes some suggestions for how they can be augmented to achieve the goals of closing the budget gap while improving fairness and long term competitiveness. The Louisiana income tax was adopted during the administration of Governor Oscar Allen in 1934. These rates and brackets would survive unchanged for some seven decades until the implementation of the Stelly Plan in 2003, which raised the threshold for the second bracket to $12,500 while lowering the third bracket’s floor to $25,000, swapping higher income tax collections for the removal of food and residential utilities from the sales tax base. In 2009, the Stelly Plan was “repealed,” but not really. The top tax bracket was restored to the previous $50,000 threshold, though the sales tax exemptions offered under the Stelly Plan remained in effect. This partial repeal of the Stelly Plan eliminated the provisions that raised revenue (the income tax provisions) while keeping enact the provisions that reduced revenue (the sales tax provisions). Many have attributed a portion of the state’s current budget issues to the partial Stelly repeal. One of the proposals being considered is quite similar to reinstating the income tax brackets under the Stelly plan, with rates of 2, 4, and 6 percent at $0; $12,500 and $30,000. This plan would also limit excess itemized deductions to 50 percent of their federal value. This would be a large income tax increase on higher income earners. Another proposal would ask voters to approve the repeal of the deduction for federal taxes paid (a provision just six other states have) and lower tax rates to 1.5, 3.5, and 5.5 percent. Both of these proposals would raise additional revenue, but do not do enough in the realm of broadening tax bases and simplifying tax structure. Recommendation: Louisiana’s rate and bracket structure has been largely unchanged for seven decades. Given that the opportunity to go to voters and ask for a constitutional amendment is on the table, there is more the state could do to improve competitiveness and simplicity. In our recommendations to the legislature from our book last year, we suggested enacting a single bracket individual income tax with a generous personal exemption of $10,000 (and maximum of $20,000 per family). Our recommendations included a rate of 4 percent, but this single rate could be dialed up or down to meet revenue requirements. This would involve a vote of the people insofar as it would alter the kick-in of the tax rate, as the state constitution currently enshrines the two percent bracket on income under $12,500. Paired with a single rate system, we recommend repealing the deductibility of federal income taxes paid, and excess itemized deductions, both of which currently largely benefit higher income taxpayers. The result is a straightforward, easy to understand income tax that has some elements to protect low income taxpayers, but does not stand in the way of success. Bear in mind also that even if another income tax proposal is passed in the interim between now and November, voters would have the opportunity to consider transformative income tax reform in the 2017 tax year. A current proposal to the corporate income tax would cut all tax brackets by 0.5 percent each while eliminating the deduction for federal taxes paid. 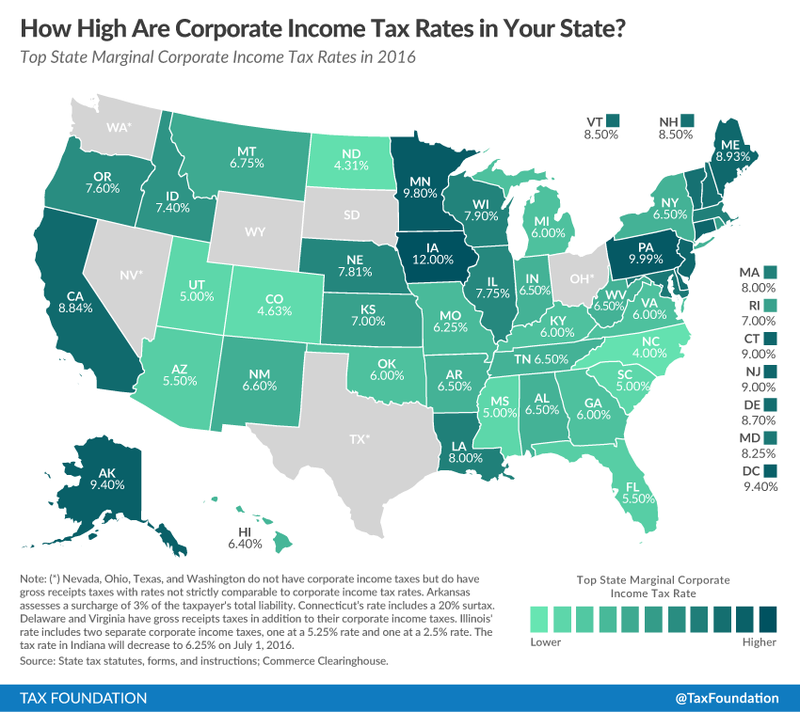 There is additionally a large amount of heartburn around corporate tax collections performing much poorer than expected in recent years, and a feeling that companies are parking losses in Louisiana to avoid paying corporate income taxes. I do not know the exact degree to which companies are engaging in tax planning in Louisiana, but I do know that tax planning is most often done to avoid states with high tax rates. My opinion is that the Louisiana corporate income tax rate of 8 percent (the highest rate in the South) is encouraging this behavior. Louisiana’s corporate income tax additionally has a multi-tier structure, with five brackets. Most states, even states with progressive individual income taxes, have just one, and this is because there isn’t a meaningful relationship between corporate profits in a given year and a corporation’s underlying “ability to pay.” In other words, it is entirely possible to have large profits one year while being a small company, or to have slim profits each year as a large company. Recommendation: Paired with the proposed limitations to the state’s net operating losses provisions, a rate cut to a single rate of at least 6.5 percent (to match neighboring Arkansas) while eliminating federal deductibility would make the state more competitive, and has the potential to bring in additional revenue. Finally, there is a package of proposals to increase excise taxes on beer, liquor, sparkling and still wines, and cigarettes. My recommendation is to take care with increasing these taxes, as they are some of the most regressive taxes in the state’s revenue toolkit. Additionally, it is important to remember that the cigarette tax hike in particular will bring in less revenue each year as more American consumers quit smoking. Since 1965, when the Surgeon General released its first report, per capita consumption of tobacco has decreased steadily each year. This is a positive public health outcome, but it also means that cigarette tax revenues are not a stable revenue stream, and are never a long term budget fix. You can also expect that the new cigarette tax rate will result in a little bit of tax “leakage,” as consumers will bring in packs and cartons from other nearby lower tax states. In places like New York City, where the state plus city excise tax rate is $5.85, this smuggling problem is out of hand, and estimates are that over 50 percent of cigarettes are brought into New York state from other lower taxed jurisdictions. But even with Louisiana’s proposed rate of $1.08, you can expect that somewhere between 5-10 percent of cigarettes consumed in Louisiana will come from other states, and so the tax might not raise as much as projected. Fiscal crises are difficult, but they also represent an opportunity to vastly improve a state’s tax system. Louisiana has the opportunity this session to enact reforms that get the state out of a mess, but also put the state on a powerful long term trajectory. I hope these suggestions are useful, and I look forward to your questions. Thank you.